Since the 1950s, scientists have observed a surprisingly straightforward, linear relationship between the Earth’s surface temperature and its outgoing heat. The Earth sheds more heat into space as its surface heat up. In 1950, scientists observed a straightforward clear, linear connection between the Earth’s surface temperature and its active heat. As the earth is extremely messy system, with many complicated, interacting parts that can affect this process, it is difficult for scientists to explain why this relationship between surface temperature and outgoing heat is so simple and linear. Now, MIT scientists have discovered the appropriate response, alongside a forecast for when this linear relationship will break down. They saw that Earth emanates heat to space from the planet’s surface and additionally from the atmosphere. As both heat up, say by the expansion of carbon dioxide, the air holds more water vapor, which thusly acts to trap more heat in the air. This strengthening of Earth’s greenhouse effect is known as water vapor feedback. Crucially, the team found that the water vapor feedback is just sufficient to cancel out the rate at which the hot atmosphere emits more heat into space. The general change in Earth’s produced heat therefore just relies upon the surface. Thus, the discharge of heat from Earth’s surface to space is a simple function of temperature, prompting to the observed linear relationship. The study in other words may also help to explain how extreme, hothouse climates in Earth’s ancient past unfolded. During the study, scientists constructed a radiation code — basically, a model of the Earth and how it transmits heat, or infrared radiation, into space. The code reproduces the Earth as a vertical column, beginning from the ground, through the environment, lastly into space. Scientists can input a surface temperature into the section, and the code figures the measure of radiation that breaks through the whole column and into space. The team can then turn the temperature knob up and down to see how different surface temperatures would affect the outgoing heat. When they plotted their data, they observed a straight line — a linear relationship between surface temperature and outgoing heat, in line with many previous works, and over a range of 60 kelvins, or 108 degrees Fahrenheit. For this, scientists programmed into their code various effects in the atmosphere, such as convection, and humidity, or water vapor, and turned these knobs up and down to see how they in turn would affect the Earth’s outgoing infrared radiation. Scientists observed that as the Earth’s surface temperature gets hotter, it basically needs to shed more heat into space. And yet, water vapor develops and acts to ingest and trap heat at specific wavelengths, making a greenhouse impact that keeps a small amount of heat from getting away. Scientists discovered this linear relationship separates when Earth’s global normal surface temperatures go much past 300 K, or 80 F. In such a situation, it would be significantly more troublesome for the Earth to shed heat at a generally indistinguishable rate from its surface heat. For the present, that number is floating around 285 K, or 53 F.
To give an idea of what such a nonlinear world might look like, he invokes Venus — a planet that many scientists believe started out as a world similar to Earth, though much closer to the sun. 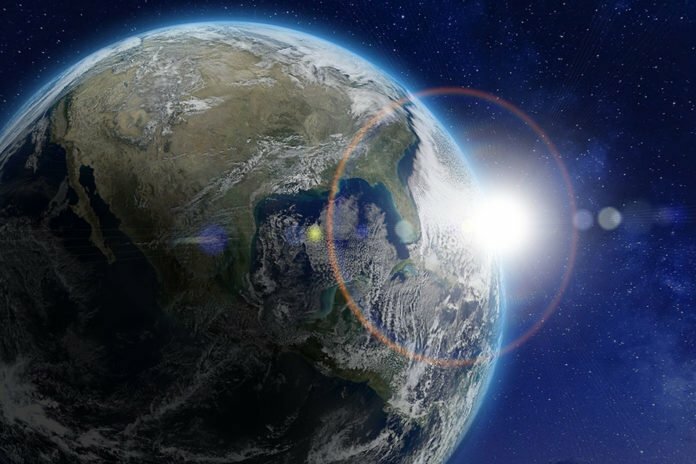 Estimating such runaway effect for earth, scientists found that it would not affect earth until the global average temperatures reach about 340 K, or 152 F. Global warming alone is insufficient to cause such warming, but other climatic changes, such as Earth’s warming over billions of years due to the sun’s natural evolution, could push Earth towards this limit. The study is published in the Proceedings of the National Academy of Sciences. Research team involves EAPS postdoc Daniel Koll and Tim Cronin, the Kerr-McGee Career Development Assistant Professor in EAPS.